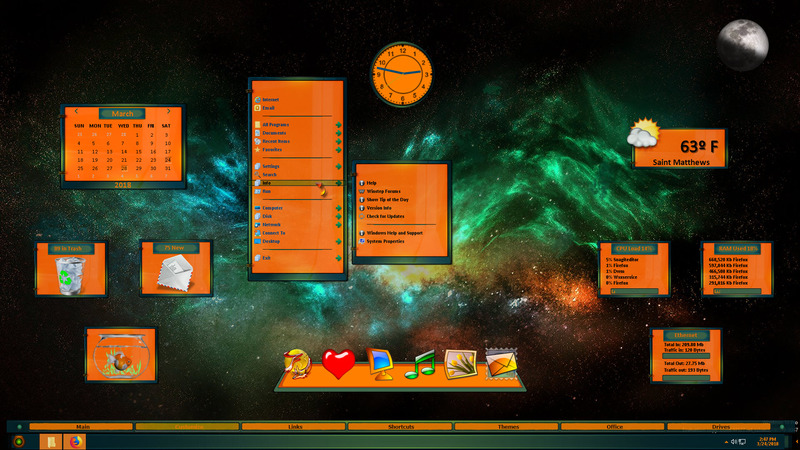 This is the first Winstep theme I've done that includes a skinned calendar module. You must be using Version 18.3 for the module to work properly. I hope you will enjoy this theme as much as I do. All I can say Mindy is WOW! Great work! In relation to the calendar module theme: Mindy uncovered and issue which the theme that had to to be fixed in code, and that fix only exists from v18.3 upwards. At the time I am writting this, v18.3 has not been officially released yet, but there is already a public beta of it (AFAIK, as stable as an official release). You can download that by enabling the 'Notify me of beta (test) versions' setting in the Advanced tab of Preferences. You'll also love the 'new and improved' Alarm Manager. This is lovely Mindy. It is so nice to have you back doing Winstep Themes. I hope you manage many more. Thank you for sharing. Thank you for the wonderful comments LightStar, JcRabbit, RND, and Samurai1. one can opt for Scrum master certification in Bangalore office for becoming master in Scrum. one can become master in Scrum and can have direct access to Scrum Alliance’s meetings which is the global institution to certify Agile and Scrum. CSM certification is one of the renowned and most optimal Certification which trains people in Scrum Master's degree, it's importance and roles and responsibilities. Scrum is the most prevalent agenda for applying agile. So prevalent, that maximum crowd has a notion that scrum and agile are one and the same. Agile can be applied by many other frameworks as well. But scrum has an exceptional zest for of the assurance to small rehearsals of work. Great job, Mindy!!! Great work! The game is really nice and intuitive. Thanks for the information. To get the best tech help at remote locations contact geek squad online support.